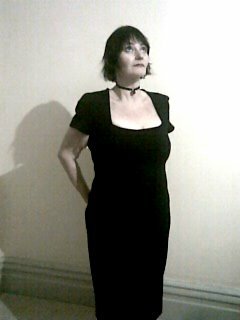 This is the dress. I look so saintly… dunno how that happened. 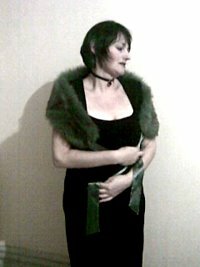 With my sister’s fur stole. I think I look kinda 20s girl in this one. And this is more the real me. Hot to trot! Where are you taking it? That dress (and the gal in it) deserve a night out. Feeling hot, hot, hot? You look amaaaaazing. Check those cheekbones! I love it! You have come so far. No wonder people didn’t recognise you at the party last the other week. What a fantastic dress! If I lived near that clothes shop, I swear my Visa card would never forgive me. love the photo’s – you look like a model!! wow i love it! You look stunning girl!!! The stole really finishes it off perfectly too! You are gorgeous young lady!!! Hey hot stuff, that shop is going to make you incredibly well dressed and possibly broke!!! I love it – you look fantastic. wow, 1920s girl really does suit u 🙂 u look great, check out the collarbones on u!